Carol Beatrice Williams Davis, age 80, of Blacksburg died Tuesday, March 26, 2019 at Heritage Hall, Rich Creek. She was born in Giles County, VA on February 18, 1939 to the late Gilbert and Beatrice Songer Williams. 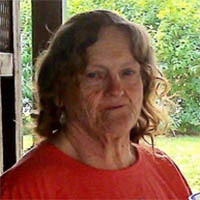 She is also preceded in death by her husband, Marce Casper Davis; son, Dennis Davis; sisters, Sue Radford, Nancy Ferris. She is survived by her son and daughter-in-law, Jeff and Dawn Davis; grandchildren, Stephanie McCoy, Jennifer Love, Christopher Davis, Jason Davis, Anthony Davis; brothers and sisters-in-law, Kenneth and Cho Williams, Joe and Patricia Williams; sister and brother-in-law, Jean and Curtis Brumfield. Funeral services will be conducted Saturday, March 30, 2019 at 1:00 p.m. in the McCoy Funeral Home Chapel with Rev. Dewey Weaver, Jr. officiating. Interment will follow at Roselawn Memorial Gardens, Christiansburg. The family will receive friends from 6-8 p.m. Friday evening at McCoy Funeral Home, Blacksburg.